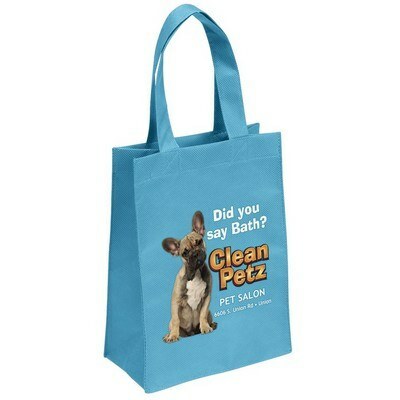 The promotional ike tote bag - four-color process is made of 80 GSM premium non-woven polypropylene. Carry the ike tote bag - four-color process, attractively imprinted with your company’s logo, using the four-color process and make heads turn and glances linger in appreciation. It is made of 80 GSM premium non-woven polypropylene and has stitched seams. It has side and bottom gussets that give shape to the tote, enabling you to nicely fit in your shopping items. 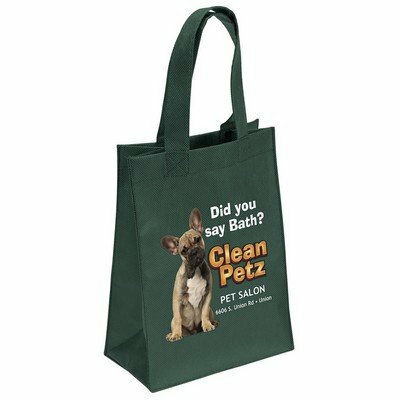 The twelve inch reinforced sewn handles make it comfortable and easy to carry. 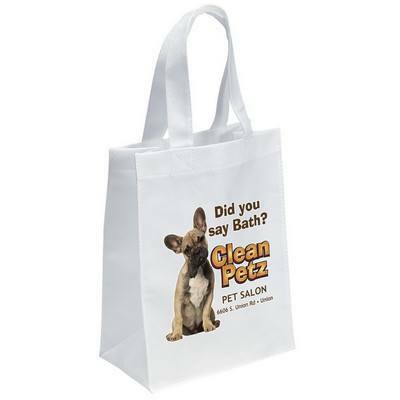 Opt for a plastic bottom insert to add firmness to the bag. 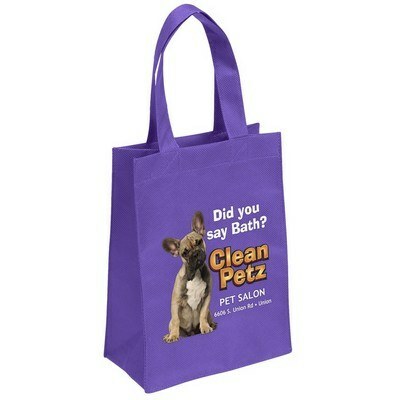 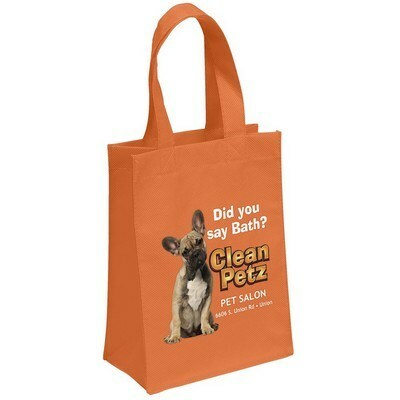 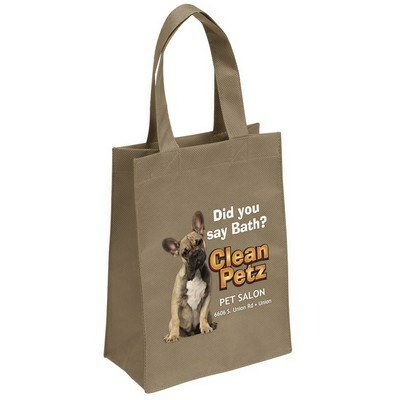 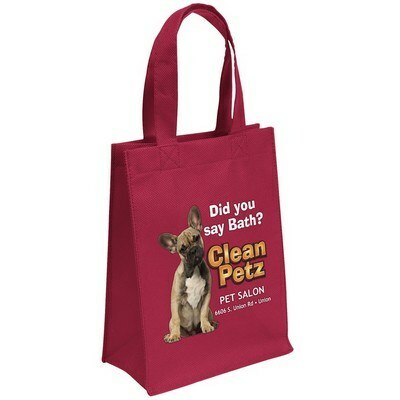 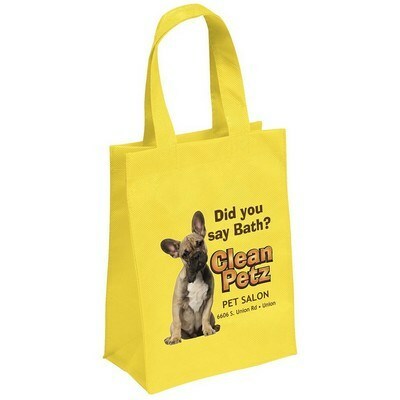 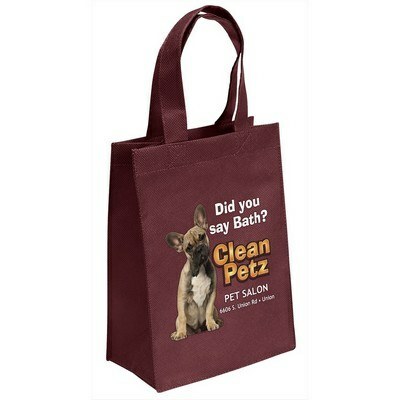 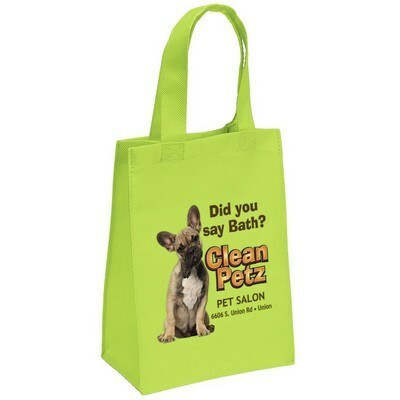 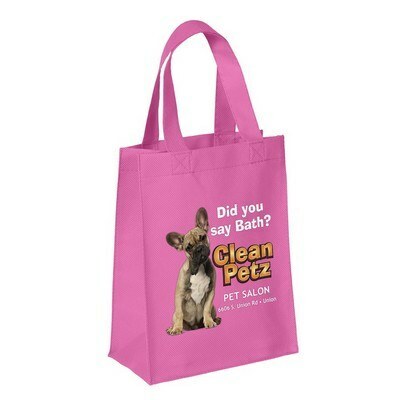 Imprint the bag with your company’s logo using four-color process and increase brand visibility.